Click for information why mohair yarn colors may not appear accurately online. A fluffy yarn to create a soft, brushed hair style. 78% mohair, 13% wool, 9% nylon. 50 gram, 1.78 oz. pull out skein is approximately 110 yards, plenty to make long hair for a doll. Short pieces of mohair and lightweight boucle colors on a card for color matching. Complete and detailed instructions on how to make various hair styles with mohair, yarn or roving. 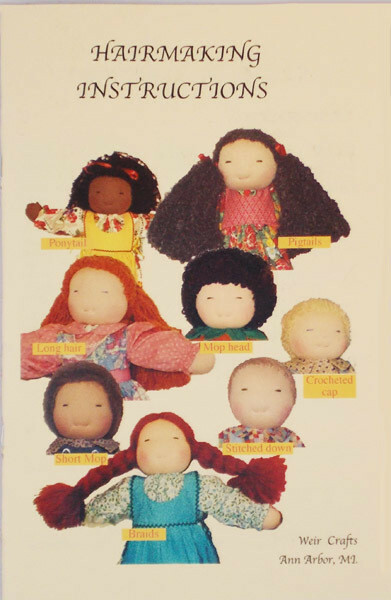 Styles include: ponytail, braids, 3 variations of long, loose hair, short boy hair, mop heads, crocheted caps. (Note: some of this information is also included in the 12", 16", and 20" waldorf doll kits, as well as the doll patterns and instructions.) 21 pages. Does NOT have instructions for wild brushable mohair. 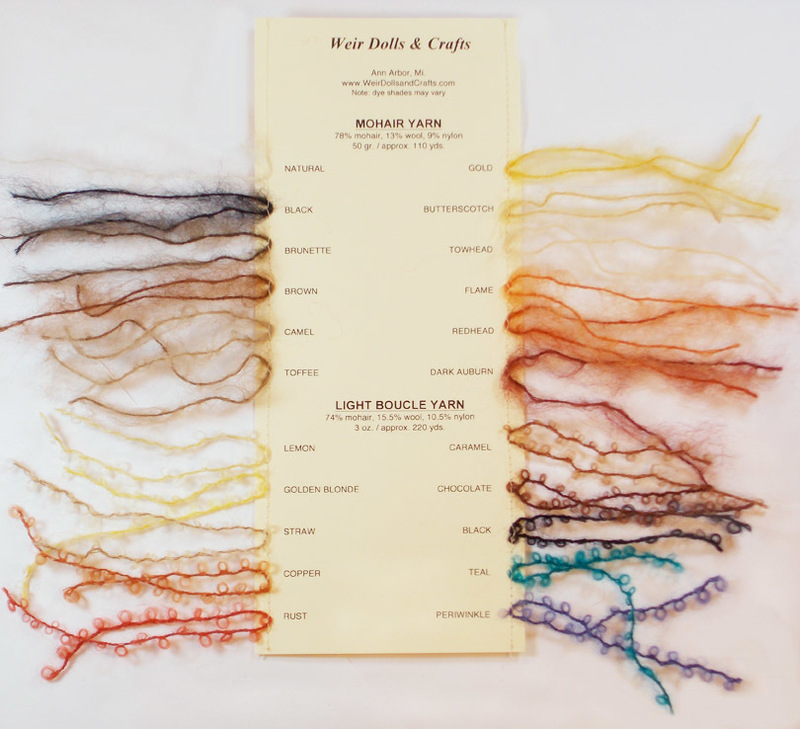 Wild brushable mohair instructions are freely available on the web site.